Apple's "Let Us Loop You In" event kicks off at 10:00 AM Pacific Time today, and we're expecting to see several product announcements including a new 4-inch "iPhone SE," an updated 9.7-inch iPad perhaps branded as an "iPad Pro," and a few updates for the Apple Watch line, although upgrades to the watch itself will not be coming today. We're also expecting to see a full set of operating system upgrades today, as Apple has been beta testing iOS 9.3, OS X 10.11.4, tvOS 9.2, and watchOS 2.2 for several months now. 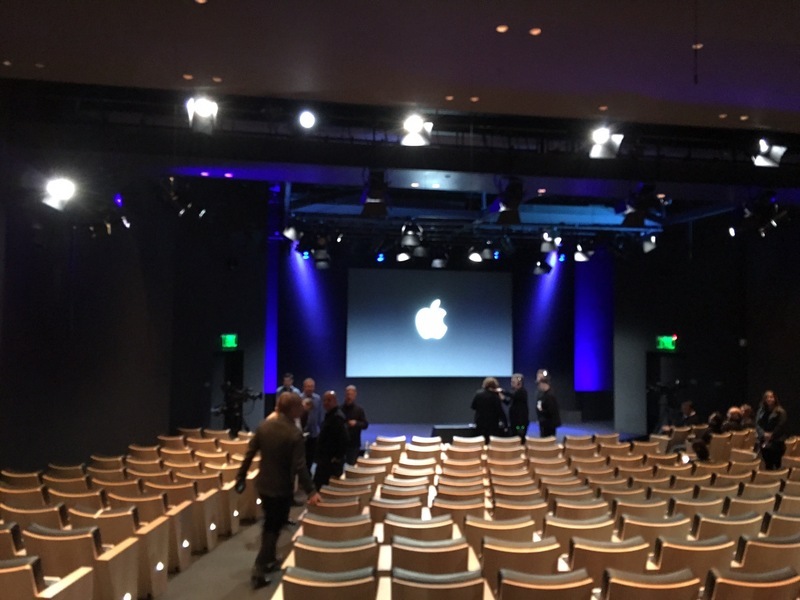 Today's event is being held at the Town Hall auditorium on Apple's headquarters campus in Cupertino. In addition to Apple's video stream, we will be updating this article with live blog coverage and issuing Twitter updates through our @MacRumorsLive account as the keynote unfolds. Highlights from the event and separate news stories regarding today's announcements will go out through our @MacRumors account. 10:05 am: Cook walks off stage, concluding today's event. Be sure to visit the MacRumors front page and forums for the latest news and discussions about today's announcements. 10:04 am: Cook says Apple is looking forward to moving to its new campus in 2017 to begin its next 40 years of history. He thanks everyone in attendance. 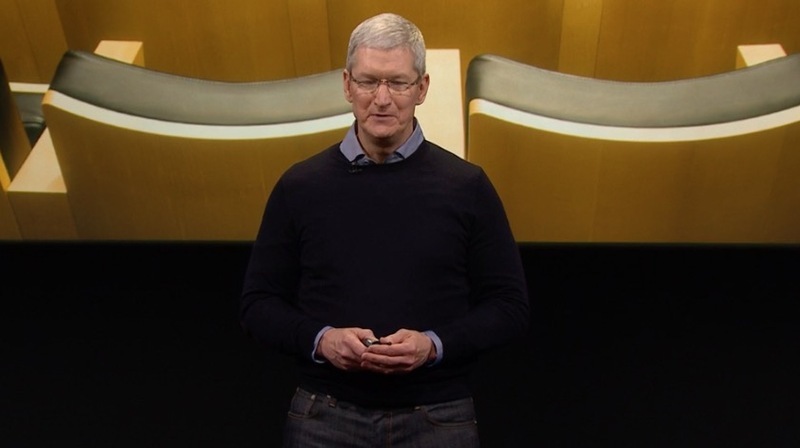 10:03 am: Tim Cook: "This is probably the last product introduction in the Town Hall ever." 10:01 am: iPad mini now starts from $269. 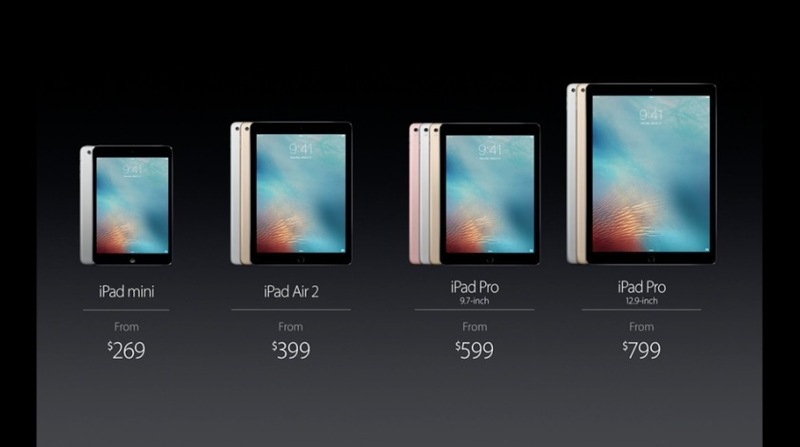 iPad Air 2 from $399. 10:01 am: 12.9-inch iPad Pro is also now available in a larger 256GB size for $1,099. 9:59 am: The new iPad Pro will be available for pre-order on March 24. That's this Thursday. 9:58 am: Video demo of new iPad Pro showcasing apps and features. 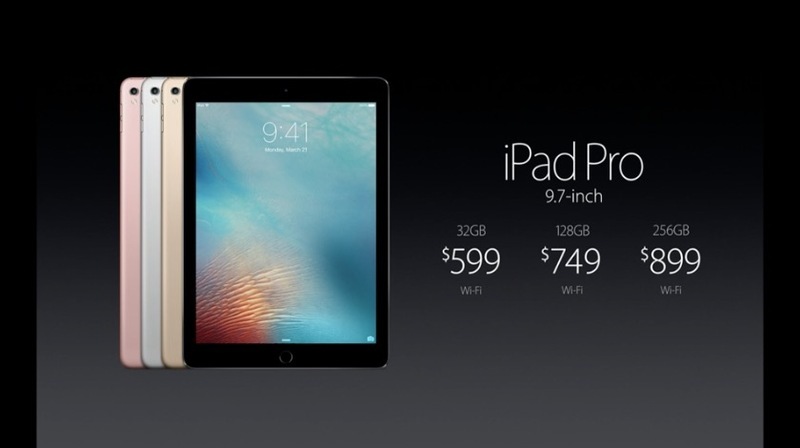 9:57 am: New 9.7-inch iPad Pro costs $599 (32GB Wi-Fi), $749 (128GB Wi-Fi), and $899 (256GB Wi-Fi). Shipping begins March 31. 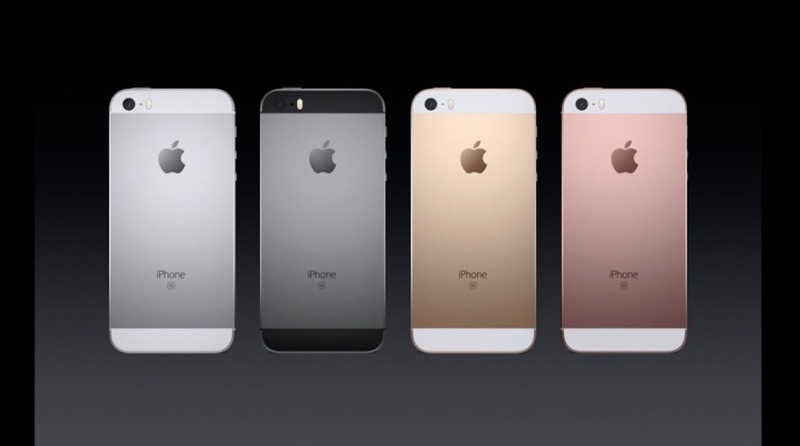 9:56 am: Four colors: Silver, Gold, Space Gray and Rose Gold. 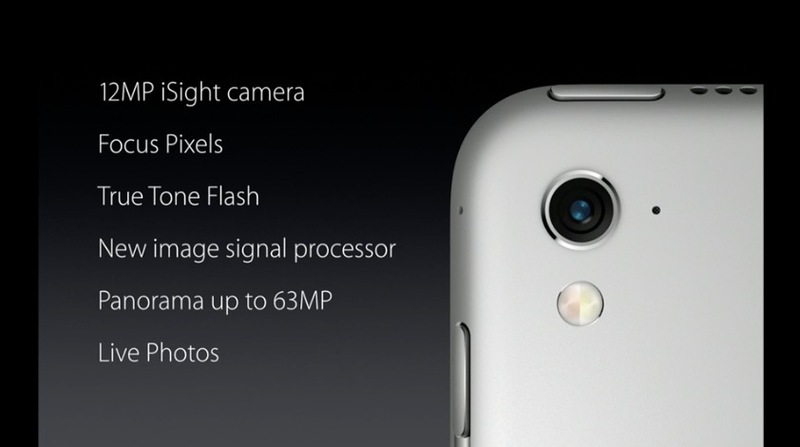 9:56 am: 5MP front-facing FaceTime HD camera with Retina Flash. 9:55 am: 12MP iSight camera. Focus Pixels. True Tone Flash. New image signal processor. Panoramas up to 63 megapixels. Live Photos. 4K video recording. 9:54 am: The tablet supports many other accessories through its Smart Connector. 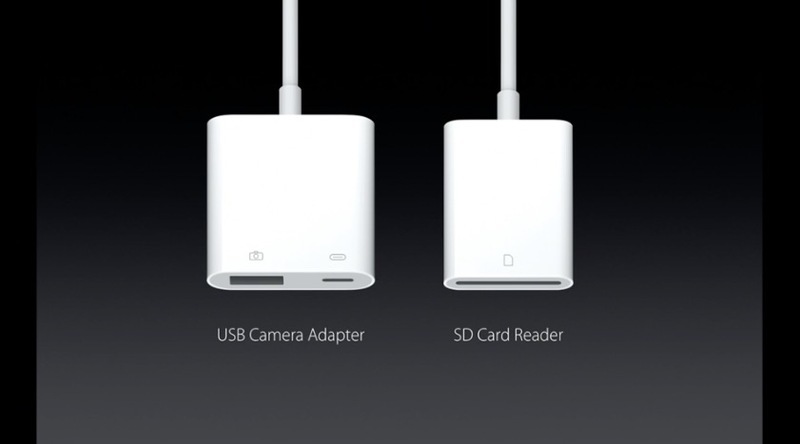 Also adapters and peripherals such as a USB Camera Adapter and SD Card Reader. 9:54 am: Apple Pencil and Smart Keyboard support. 9:53 am: Just like the iPhone SE, the new 9.7-inch iPad Pro has an embedded M9 motion coprocessor. Always-on "Hey Siri" support. 9:52 am: 12 cores of graphics power. More than an Xbox 360 in "a device that you hold in the palm of your hands." 9:51 am: 9.7-inch iPad Pro has four speakers. More than 2x the audio output of iPad Air 2. 9:50 am: The new 9.7-inch iPad Pro has a True Tone display. Two new four-channel ambient light sensors that measure the color temperature of ambient light, and adjusts the display to match. 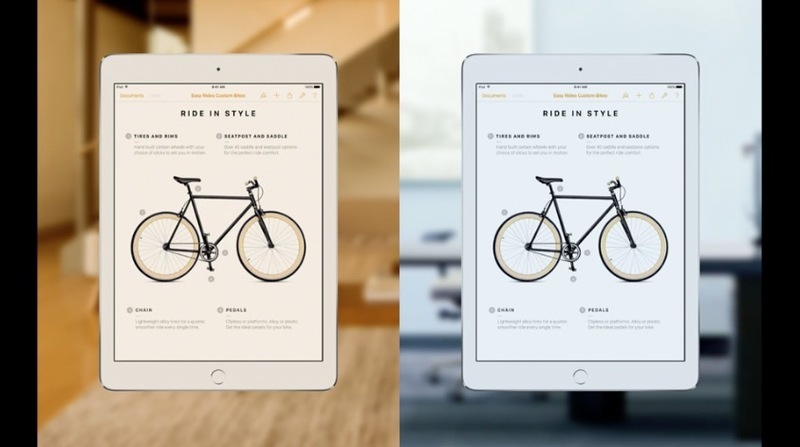 9:49 am: The new 9.7-inch iPad Pro is 25% brighter than the iPad Air 2. It also has 25% greater color saturation than iPad Air 2. 9:49 am: Same display materials as 12.9-inch iPad Pro. Oxide TFT display. Custom timing controller. Photo alignment for "incredible" contrast ratio and crisp text. 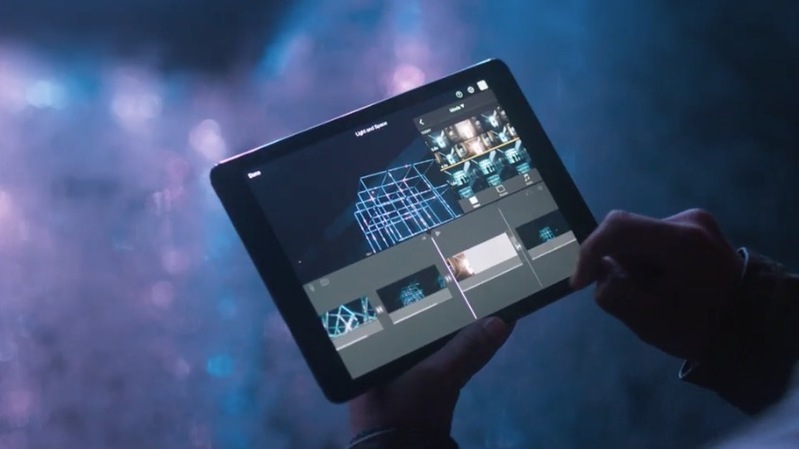 Lowest reflectivity of any tablet. 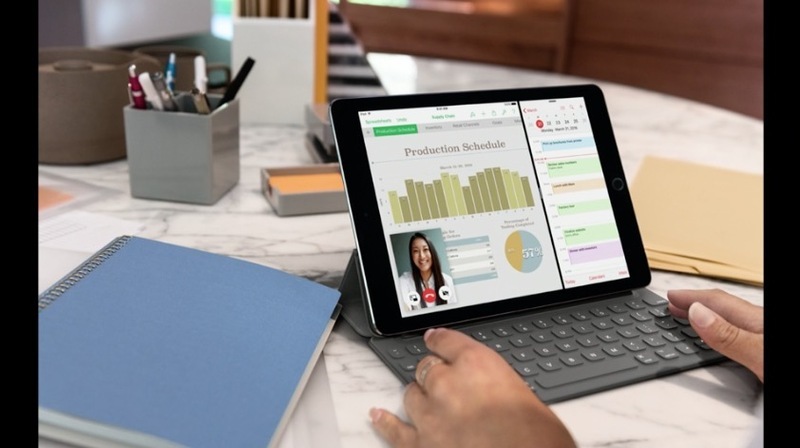 9:48 am: The new iPad Pro is "the ultimate PC replacement." There are over 1 million apps in the App Store to take advantage of. 9:47 am: Schiller: 600 million PCs in use today that are over 5 years old. "These people could really benefit from an iPad Pro." 9:47 am: Schiller believes this new iPad Pro will be the "ultimate upgrade" for those customers. Also for Windows PC users. 9:46 am: Apple says it has sold over 200 million 9.7-inch iPads to date. 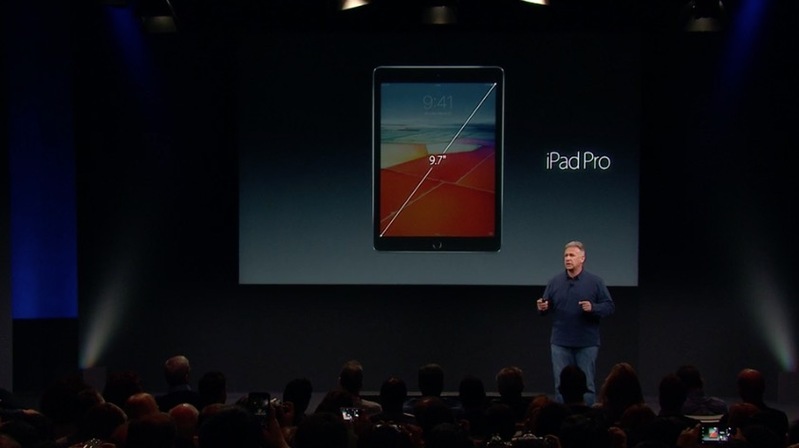 9:46 am: Schiller introduces 9.7-inch iPad Pro. 9:44 am: Cook brings up Apple marketing chief Phil Schiller to talk about what's next for iPad. 9:44 am: Tim Cook back on stage. iPad up next. 9:43 am: iOS 9.3 is available as a free update for everyone beginning today. 9:43 am: Apple reiterates that over 100 CarPlay vehicles are available around the world. More are coming. Joswiak is going over CarPlay improvements in iOS 9.3. 9:40 am: Apple VP Greg Joswiak is talking about iOS 9.3 features such as Night Shift. 9:39 am: iPhone SE orders begin March 24. Shipping March 31. 110 countries by end of May. 9:38 am: 64GB iPhone SE is available for $499. Two-year contract price is free for 16GB. Financing starts at $17/month for 16GB model. 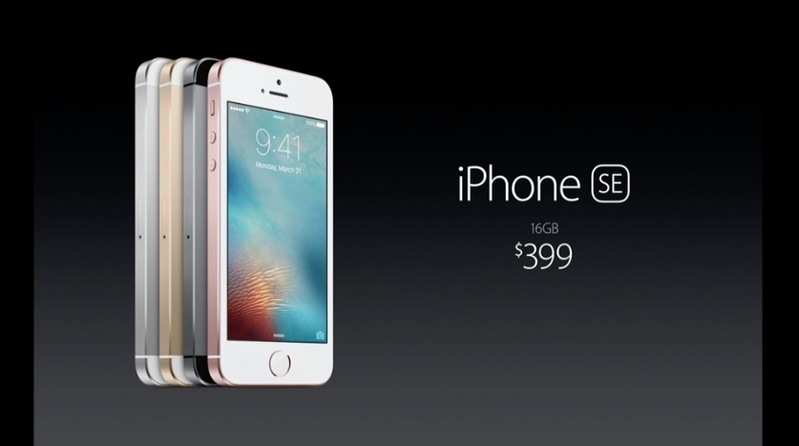 9:38 am: iPhone SE pricing starts at $399 for 16GB. 9:38 am: Wi-Fi calling. Bluetooth 4.2 Always-on "Hey Siri". Apple Pay. New microphones. Slow-mo up to 240 fps. 9:37 am: LTE is now faster: up to 150 Mbps. More LTE bands. VoLTE. Wi-Fi is up to 3X as fast as iPhone 5s. 9:36 am: Camera improvements: Lots of Focus Pixels. True Tone Flash. New image signal processor. Panoramas can now be up to 63 megapixels. 4K video recording. Edit two simultaneous streams of 4K right on iPhone. 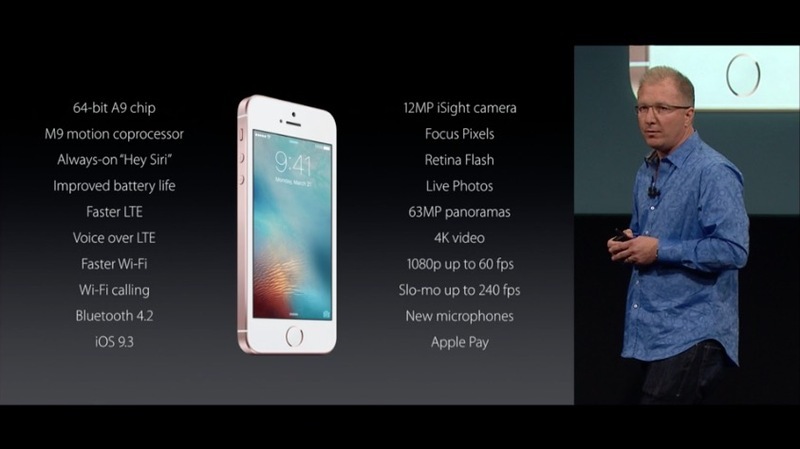 9:35 am: "Incredible" battery improvements and a 12-megapixel rear-facing iSight camera. Same as iPhone 6s camera. 9:35 am: Matte chamfered edges. 9:34 am: iPhone SE has a 4-inch screen. 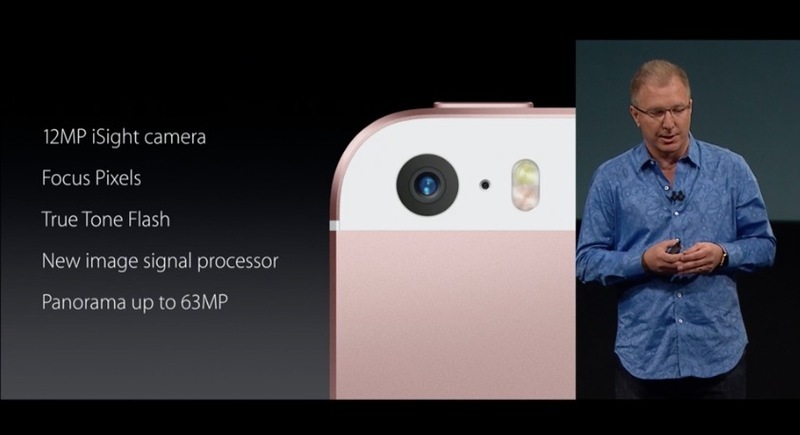 A9 chip performs on the same level as the iPhone 6s. Double the speed of the iPhone 5s. 9:33 am: Apple introduces the iPhone SE. 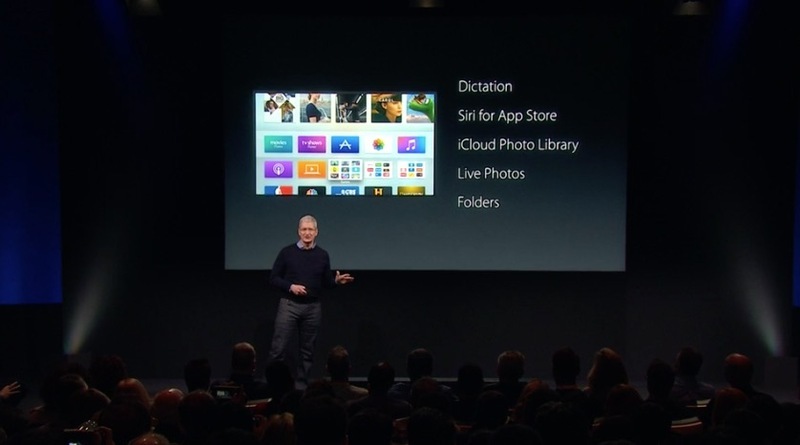 9:30 am: Cook is running through existing features of the new Apple TV. 9:28 am: Apple TV up next. 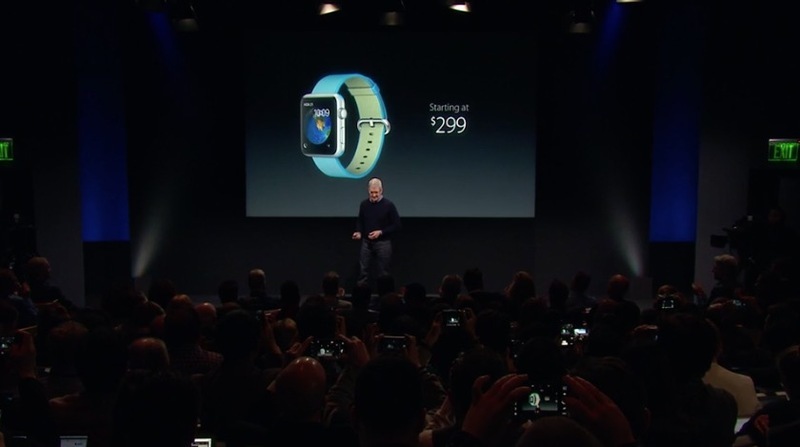 9:27 am: Beginning today, Apple Watch starts at $299. 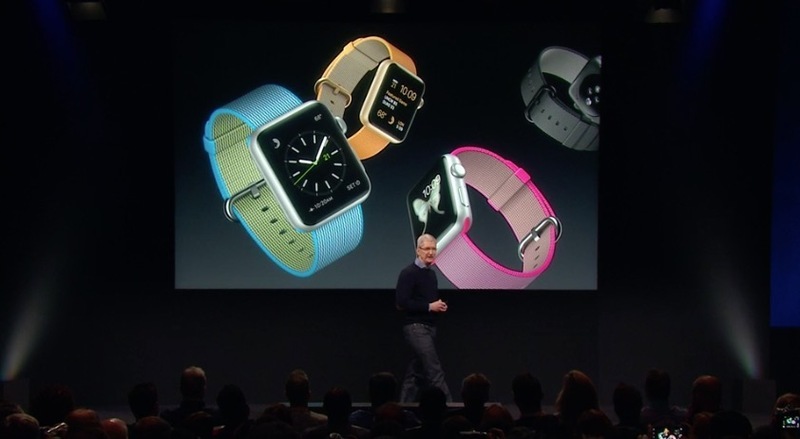 9:27 am: Apple Watch sport and leather bands in new colors for spring. Space Black Milanese Loop as well. 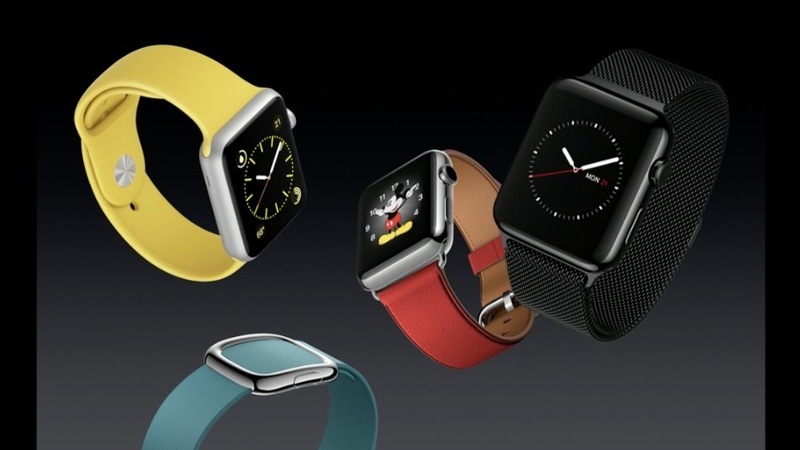 9:27 am: New woven nylon bands for Apple Watch in multiple vibrant colors. Pink, orange, blue, black. 9:25 am: Apple Watch is #1 selling smartwatch. #1 in customer satisfaction. 9:25 am: Tim Cook back on stage. Apple Watch up next. 9:24 am: CareKit is open source and available in April. 9:24 am: CareKit on iPhone has a care card, symptom and measurement tracker, and the ability to share your information with family and medical professionals. 9:22 am: CareKit is a framework for developers to build apps that "empower people to take an an active role in their care." 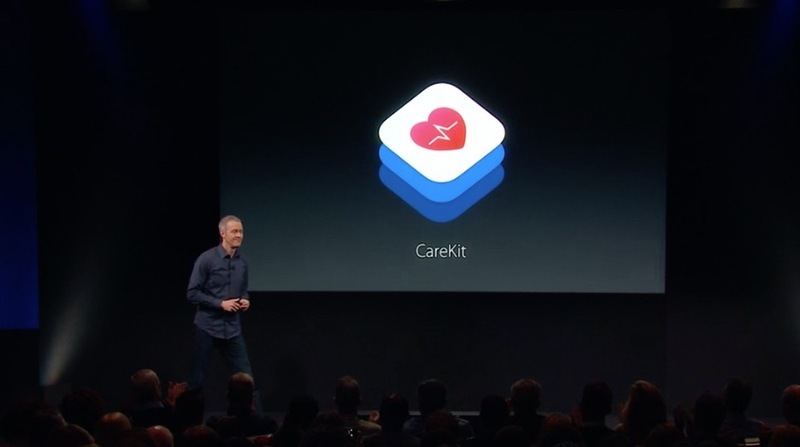 9:22 am: Apple announces CareKit. 9:20 am: A heartfelt video was played on stage explaining how ResearchKit has transformed research and medicine. 9:16 am: Williams reiterates that ReseachKit provides researchers with insights that "just weren't possible" with traditional health studies. 9:15 am: Cook invites Apple COO Jeff Williams on stage to talk about health initiatives such as ResearchKit. 9:14 am: Tim Cook is back on stage. 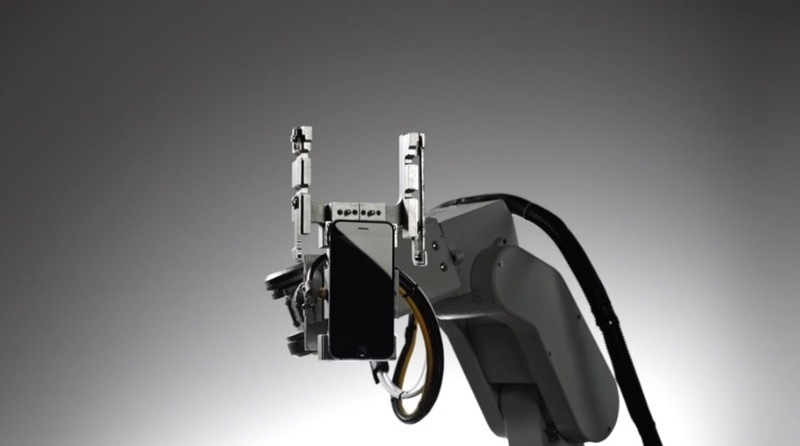 9:12 am: Apple introduces Liam, a robot that can break down and separate recyclable materials in iPhones for future use. Video demo shown on stage. 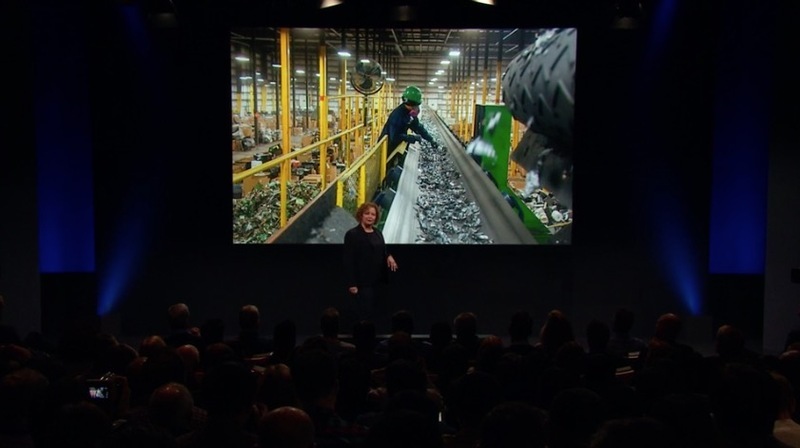 9:10 am: Jackson says that Apple packaging now comes from 99% recycled paper or sustainable forestry initiatives. 9:09 am: Jackson is running through some examples of Apple's renewable energy initiatives in place such as China and Singapore. 9:08 am: Currently, 93% of Apple facilities run on renewable energy. 21 countries around the world using 100% renewable energy. 9:07 am: "Our goal is to become 100% renewable in 100% of our operations worldwide. That's all of our offices. All of our retail stores. And every single one of our data centers." 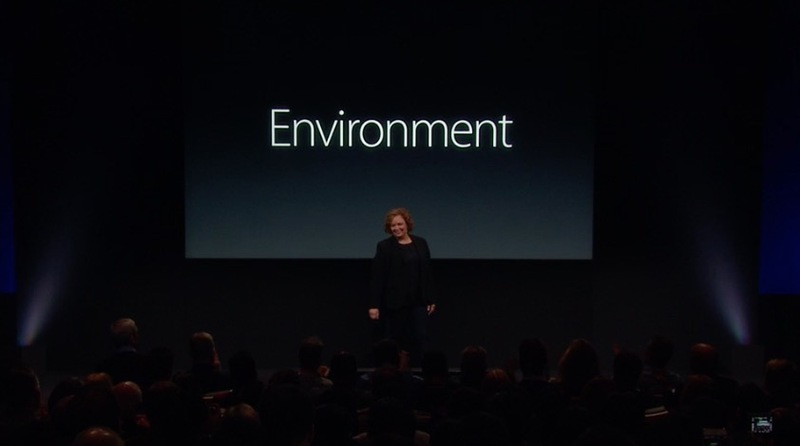 9:06 am: Cook invites Lisa Jackson, Apple's Vice President of Environment, Policy and Social Initiatives, on stage. 9:05 am: "Let's get back to why you're here this morning…"
9:04 am: Cook brings up the ongoing Apple-FBI debate. He says it is important for Americans to "join in the conversation." 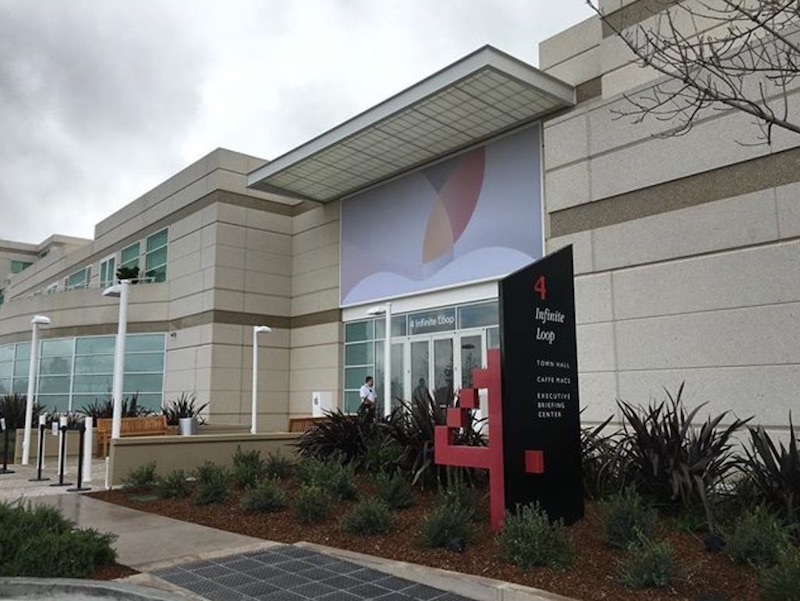 Apple is grateful for the "overwhelming support" it has received from customers around the world. 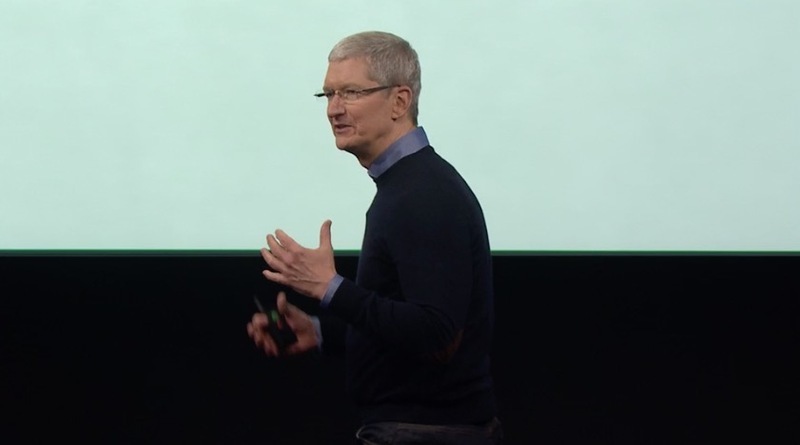 9:03 am: Cook reiterates that there are more than 1 billion active Apple devices right now. 9:02 am: Tim Cook is on stage to much applause. 9:02 am: Apple turns 40 on April 1, 2016. 9:01 am: Apple event begins with a video showcasing the company's 40-year history.8:55 am: Apple's web stream is now live with Beats 1 music playing in the background. Tip: you need to be using Safari or Microsoft Edge. 8:10 am: Media and guests are getting registered and taking advantage of Apple's food and drink selections. 8:06 am: Less than one hour remaining until Apple's event starts at 10:00 a.m. Pacific (1 p.m. Eastern). Stay tuned! Wow. I cannot believe how ungrateful you people are. Did you not read the information? Did you not see the incredible technological and design achievement? Apple Watch now comes with a nylon strap. Not just some ordinary nylon strap, no sir. This one has -- and I'm quoting here -- over 500 threads woven together in a unique, colourful pattern. Yes, you read that right. Over 500. Woven. Colourful pattern. Unique. No-one else has ever done stripy watch straps before. Made of nylon. In colourful patterns. It gets better. Monofilaments connect four layers of the weave to create a single durable strap with a comfortable, fabric-like feel. That's right: monofilaments. Four layers. Durable. Comfortable. Fabric-like. I'm buying ten. In each colour. Right now. Apple should've just skipped the event and updated the website with these products. WHY the bitching and/or gloom and doom conclusion jumping? S***'s annoying, and makes people look like whiny, entitled kids. Personally, I don't think it is whiny or unreasonable to expect Apple to introduce MacBook Pros with the new Skylake processors when all of their competitors did it 5 months ago. I think it is a legitimate criticism. Wow, that must go down in history as THE dumbest thing anyone has ever said about computing......! Did the exec team walk away from this, feeling good about it?? If they did, they are sadly out of touch with reality. Seriously, I understand an applause but "woo woo" needs to stop. Maybe PC users keep their computers longer because they can UPGRADE them instead of chucking them into the recycle pile like so many Apple products. Shut up Cook, you can show your support for criminals and terrorists in court, get on with the products.